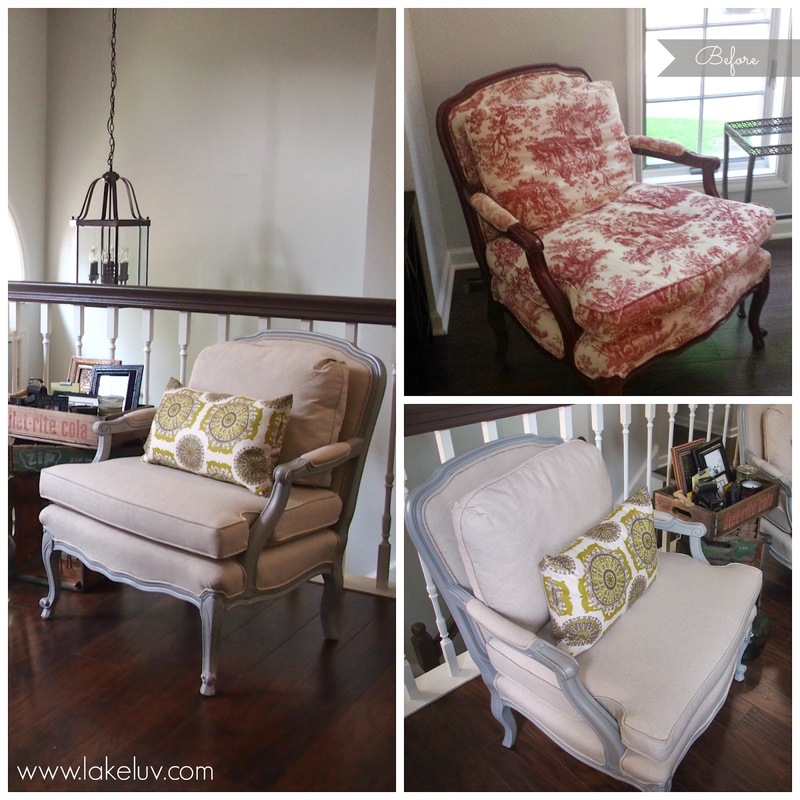 A couple of months ago I bought a pair of super comfortable Bergere chairs off of Craigslist. I was really drawn to their beautiful shape but I bought them knowing that the faded fabric would need to be changed and the frames repainted. I went back and forth between teaching myself to re-upholster them or hiring someone to redo the chairs from top to bottom. Me taking on the re-upholstering of the chairs would have meant saving money on the labor and being able to splurge on expensive fabric, but there was a huge risk of me damaging a pair of perfectly good chairs as it would be my first foray into furniture re-upholstery. I chose a gray shade for the frame and went with an off white canvas fabric that cost me about $20 per yard. Three weeks later, I had brand new chairs and couldn't be happier. These past four months I've taken on about 15 different DIY projects, but with these chairs I knew I had reached my limit. I, for one, did not have any spare time on my hands to redo these chairs, nor the patience to spend tons of time learning a new skill. Besides, I didn't want to ruin the chairs and was also sick of living in a sparsely decorated house. I was so ready for my decor to come together and I think they go really well with my new green throw pillows. At the end of the day, I get the same pleasure from looking at these chairs that I would have had I re-did them myself. It makes me happy that I got to choose exactly the color and finish I wanted in addition to saving some money compared to what I would have paid had I bought them new. Sometimes, you just gotta know when to give up and hire the right person to do the job better, faster, with less headache.